The TSA is set to bring their findings and excuses for the accident to the Congressional Homeland Security Committee next week. The question is, will the TSA accept responsibility for the accident or make a scapegoat of the pilot? In December the Crimefile News blog broke the story about the unorthodox, padlocked holster required for armed Federal Flight Deck Officers. The holster in conjunction with a common padlock was adopted and mandated by the TSA for transportation and storage of loaded guns on commercial aircraft by flight deck officers. The problem is that long standing safety rules mandate that trigger locks, fingers and foreign objects don’t belong on the trigger of loaded firearms. The holster alone is a well made and safe item but the same cannot be said for the utilization of a padlock with the holster. A video written and produced by Crimefile News has been seen in hundreds of airline, government and Congressional offices and has been heralded by gun safety experts for exposing the danger. The video replicates the actual discharge of the weapon by the padlock shackle. Pilots, flight deck officers, and TSA employees are precluded from talking about the holster or firearm handling procedures. 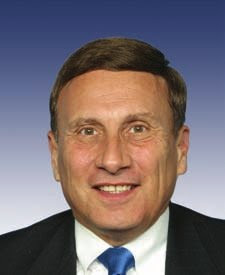 Congressman John Mica of Florida is convinced after a briefing by TSA officials that the accident was caused by the TSA mandated procedures and padlock. So far the TSA remains silent on the cause of the incident or plans to prevent similar accidents in the future. Let’s hope that the responsibility for the FFDO program is shifted away from the politicized TSA to a competent law enforcement agency where it belongs. Great Post and video! We linked to it on SammyTaylor.net.